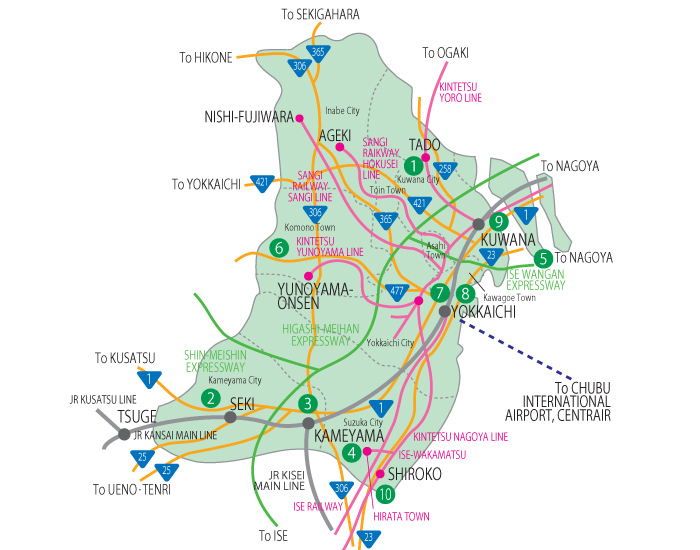 The Northern Area is bounded by the Yoro Mountains to the north and the towering Suzuka Range to the west. 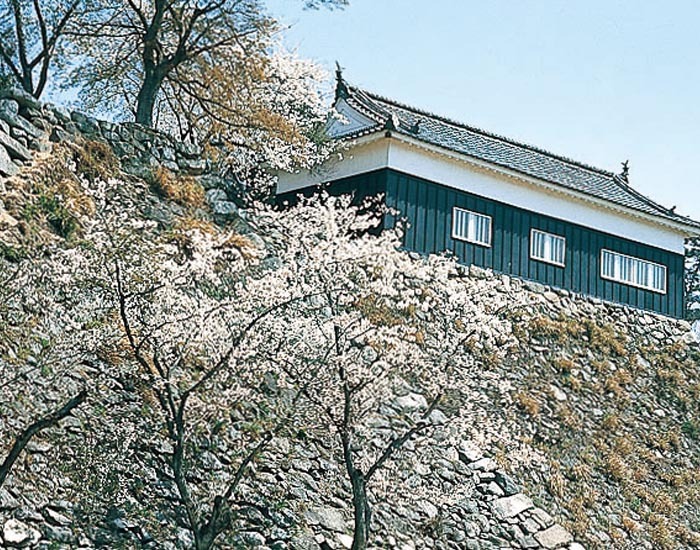 During the Edo Period this area was the location of part of the Tokaido Road, the most important trade route from eastern to western Japan, and was crowded with travelers. This is a place where history abounds, the landscape changes from season to season, and you can follow in the footsteps of travelers of long ago. 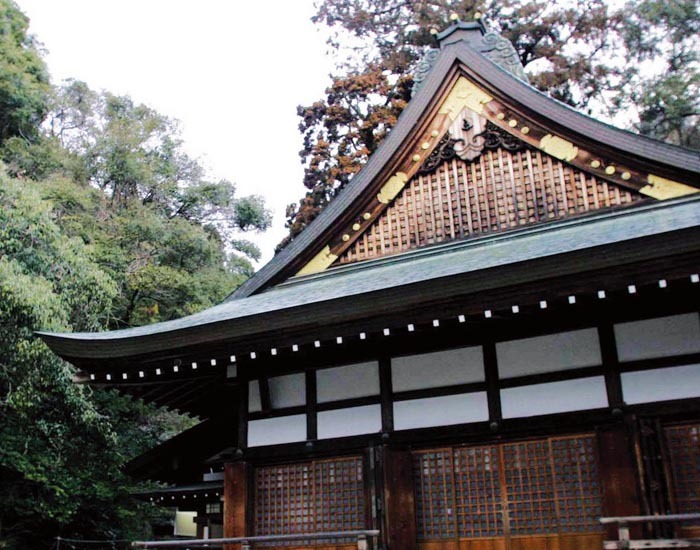 This shrine was written about in an ancient poem, “If you travel to Ise (Ise Jingu), you must visit Tado, too.” The full lineage of Japanese emperors have revered this shrine as a home for the god of industry and business. You can enjoy viewing important national cultural treasures maintained here. The Tado Festival, well known as the Horseback Climbing Ceremony, is held on May 4th and 5th every year. 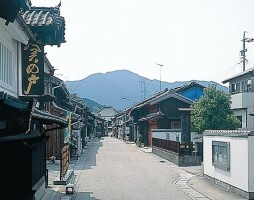 During the Edo Period this district of inns on the historical Tokaido Road was a popular rest place, both for feudal processions and for pilgrims journeying to Ise. Now restored, the old part of town includes two hundred historical buildings. 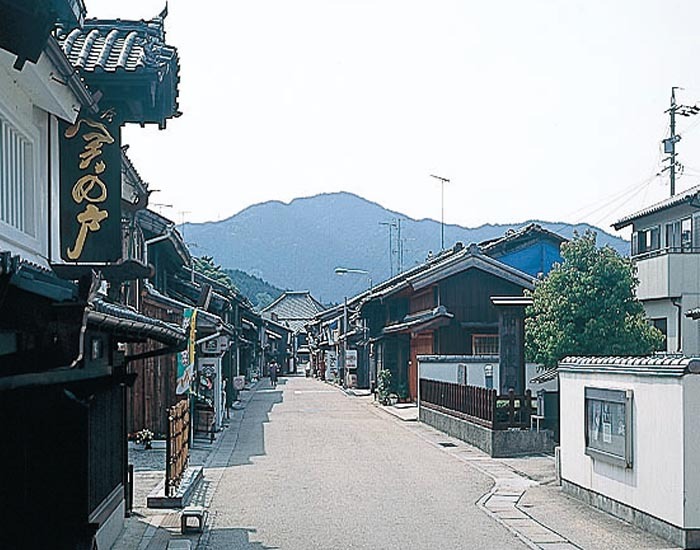 As the only remaining historical inn district on the Tokaido, it has been designated a national historical district. 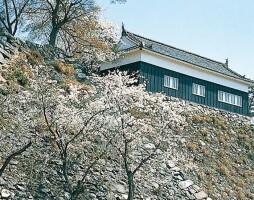 The ruins, a designated prefectural historic site, include the fifteen-meter-high stone walls constructed during the 16th century Azuchi Momoyama Period and fortifications from the Edo Period. 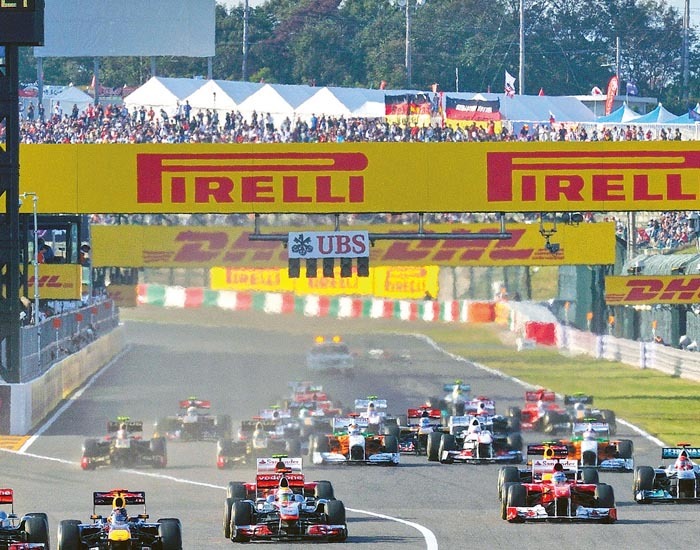 Located here is a comprehensive leisure complex with an international racing course, an amusement park, and a hotel. Demonstrations of the famous two-legged robot ASIMO are held here. You can enjoy hot spring bathing in the hotel. 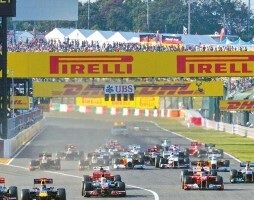 This has started since 1987 F1 Grand Prix. Nagashima Spa Land is an amusement park full of thrill rides. Its Jumbo Seawater swimming pool is very popular during the summer. Yuami-no-shima is a spa facility where you can enjoy various kinds of spas, including an open-air spa. A huge outlet shopping mall, Jazz Dream Nagashima, is located next to Nagashima Spa Land. Mt. Gozaisho is the highest peak in the Suzuka Range. 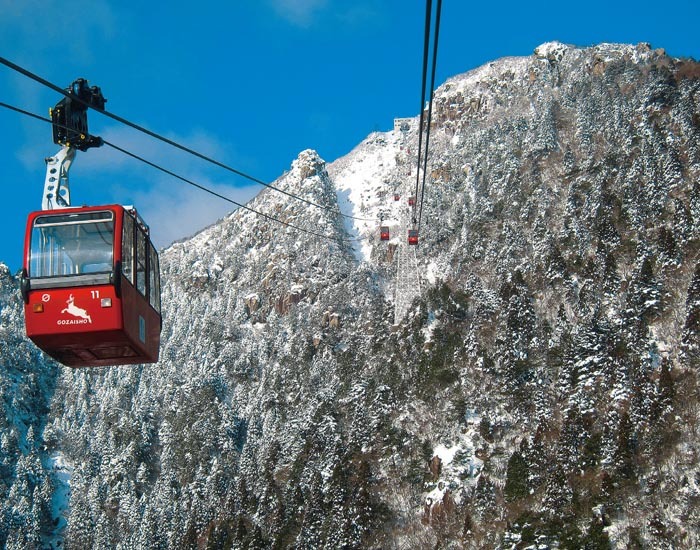 An aerial ropeway allows visitors to climb to the peak from Yunoyama hot springs, at the foot of the mountain. Mt. Gozaisho is also noted for its splendid autumn colors. The top area of Mt. 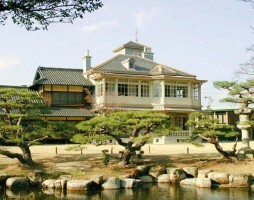 Gozaisho is a natural park and Ise Bay may be viewed from the observation tower. 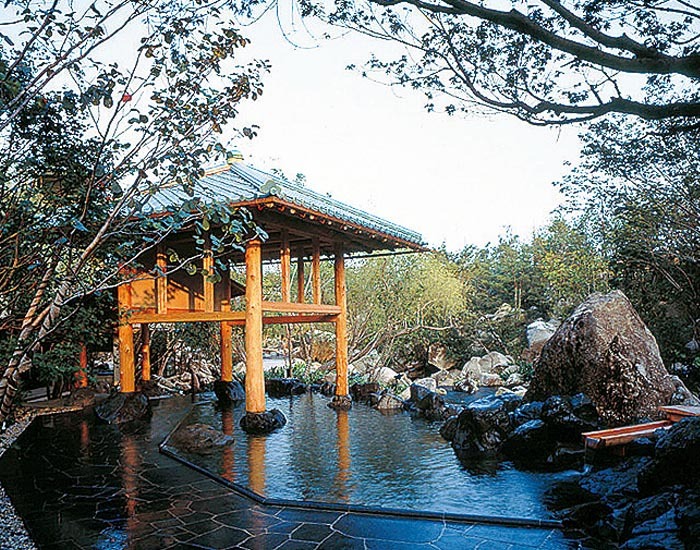 Yunoyama hot springs are at the mountain’s foot, to ease and relax your body and soul. 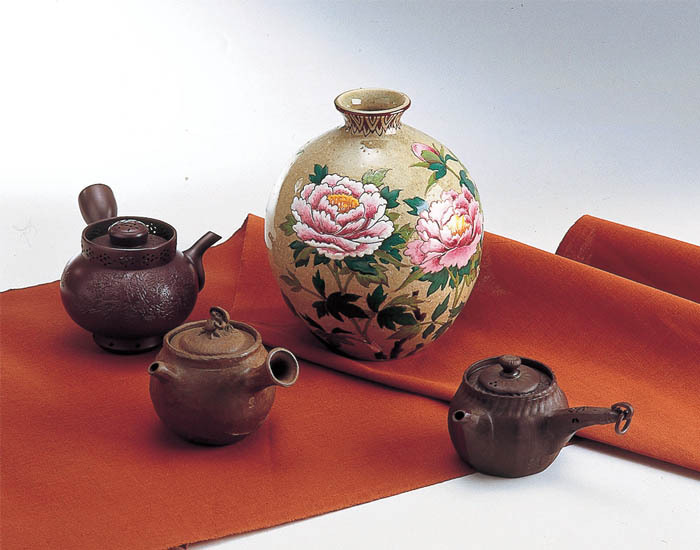 Banko pottery, said to grow in luster and beauty the longer it is used, is a traditional product with a proud history of over 250 years. The pottery center has displays of Banko ware and items for sale. 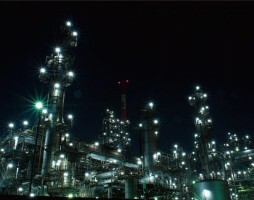 Yokkaichi Industrial Zone is famous for its petrochemical complex, one of the biggest in Japan. Recently this area is drawing more attention as a tourist destination. 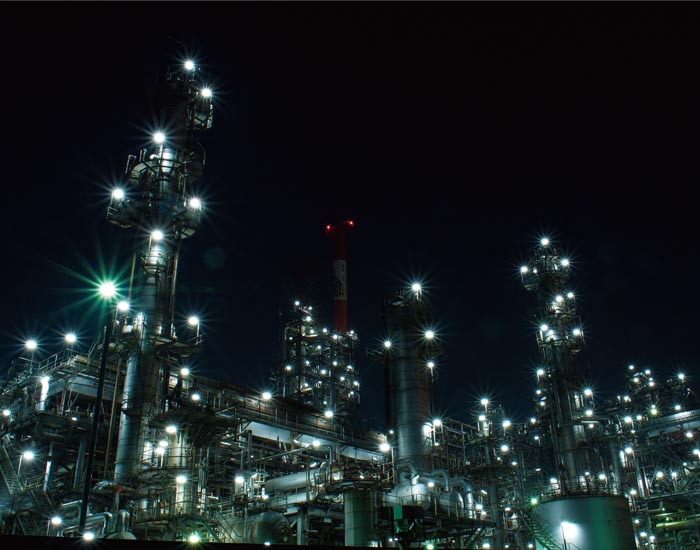 The night view of Yokkaichi industrial zone is amazing, and it’s attracting many tourists for sightseeing tours. 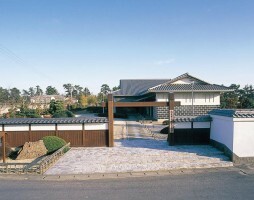 Rokkaen was designed by the architect who also designed the Rokumeikan. 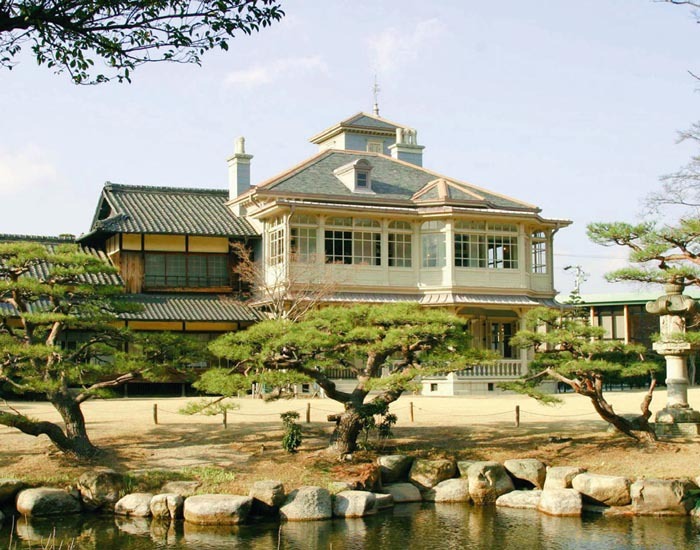 It is a Western-style mansion with a 4-storey tower, Japanese-style structures, and a circuit path garden having a central pond. It has been designated as an important national cultural treasure. The mansion is fantastically illuminated until 10:00 p.m. 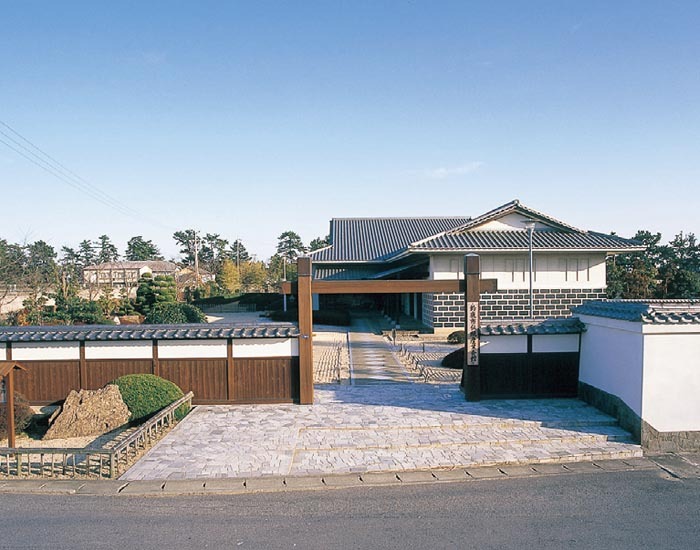 This museum was built to carry on traditional craftsmanship, of which Suzuka City is quite proud, including Suzuka ink which developed into the second-largest ink-producing industrial region following Nara, and Ise pattern paper that is mainly used for dying Japanese kimonos, yuzen and komon. Here you can experience the craftsmanship of Ise pattern paper.